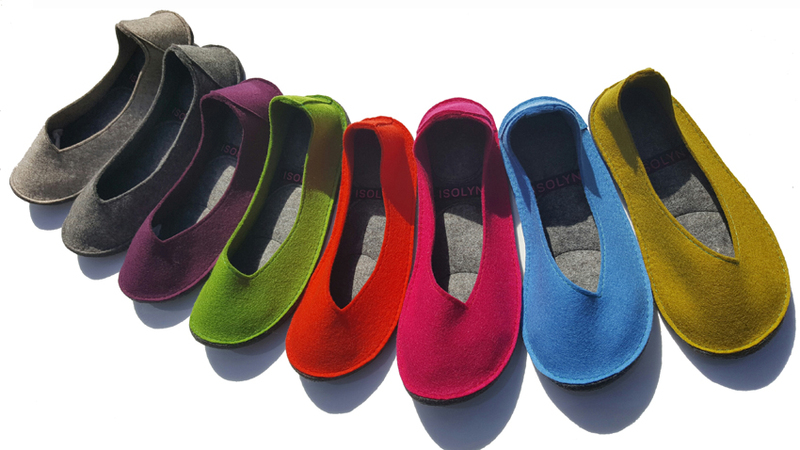 Sandy Ballerinas are a new handmade closed slipper by Isolyn. 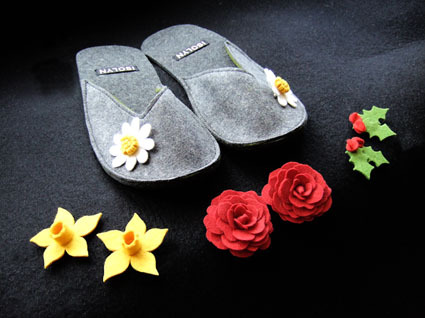 Made from 100% wool with large grip pads these slippers are warm for the winter and cool for the summer. 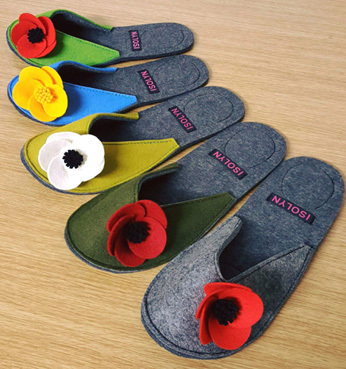 These ultra comfy slippers are of a contemporary design so you will feel stylish at home or any other dry indoor environment. 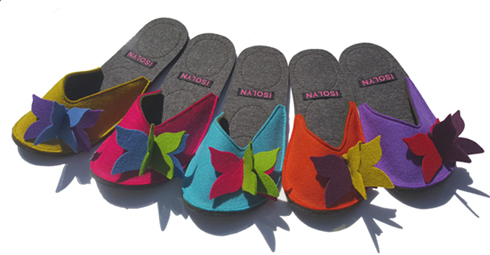 They come in 8 colours, adults sizes (UK) 2 to size (UK) 8 and can also be machine washed. 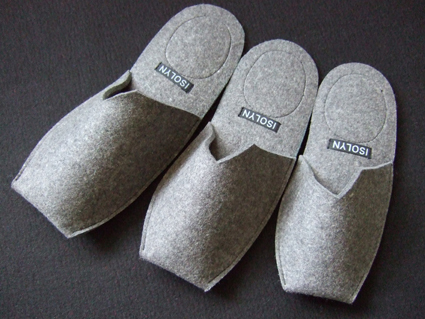 Dust and fluff can be removed using a lint roll. 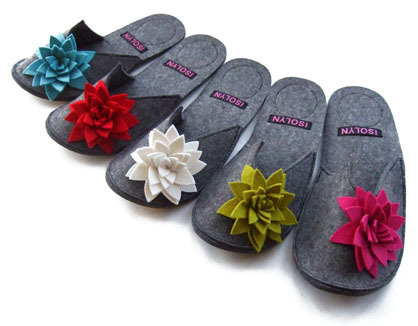 range of colours and 3 sizes, they can be worn in the home or any dry indoor environment. 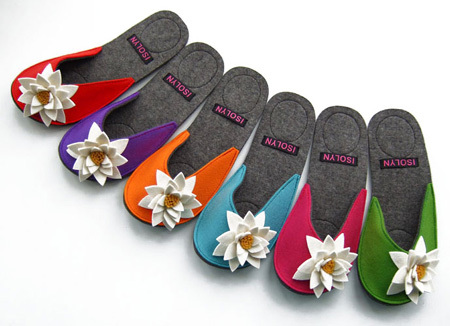 Grey Slippers with changable seasonal motifs available exclusively on the Isolyn Website! 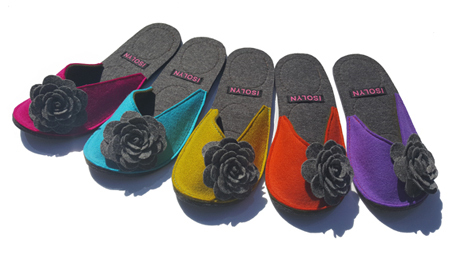 range of colours and 3 sizes.